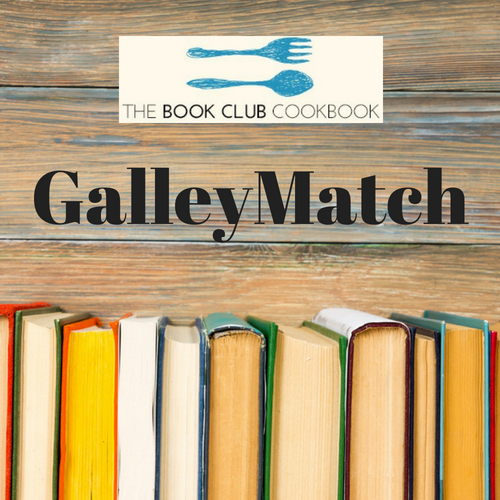 Welcome to BookClubCookbook.com’s GalleyMatch! Our program allows you to easily share extra advance reading copies (or just released final copies) with book clubs that would like to read them. The FAQs below will help you understand how GalleyMatch works. Please contact us at [email protected] if you have any further questions. When you’re ready to start placing galleys, please complete the Publisher GalleyMatch Registration Form. How many galleys can we provide? The majority of book clubs have 6 or more members, and we recommend a minimum of 6 galleys. You can also offer a combination of physical and digital galleys. How many book clubs will we reach? We will match your galleys with our registry of book clubs based on group size and reading preferences. The book clubs on our registry average 10-12 members, but some are much bigger or smaller. You can designate on the GalleyMatch Publisher Form the number of galleys and the number of book clubs to place the galleys. For example, if you have 50 galleys, you might opt to place them with 2, 3, 4, or 5 book clubs. Publishers mail galleys directly to the book club coordinators. Galleys must be mailed within three weeks. Yes. Please note that rates are per book club, and apply to single titles. For example, 15 galleys placed with one book club is one GalleyMatch; 15 galleys placed with two book clubs is two GalleyMatches. If you have multiple titles, each title will be billed separately. Bulk Rate: If you plan to place multiple titles with 100 or more book clubs within one calendar year, the “single title” rule no longer applies. You may place as many different titles as you would like with those groups, and you will be charged for the total number of book clubs at $30 per book club, with a 25% discount. We offer discounts on several other promotions with GalleyMatch. You can find descriptions and rates for all our promotional opportunities here. When should I book a GalleyMatch? So book clubs can put the book on their schedule, we recommend that you register the galleys before they are available (up to a year in advance). Do you accept self-published titles? What types of books are appropriate for GalleyMatch? Adult, YA/teen, and young/middle grade titles can all be placed through GalleyMatch. Our registry includes groups interested in literary fiction, mystery, women’s fiction, historical fiction, sci-fi, adventure, fantasy, and nonfiction, including memoir, biography, cookbooks and more. How do I know if the title(s) I have in mind is a good fit for the program?